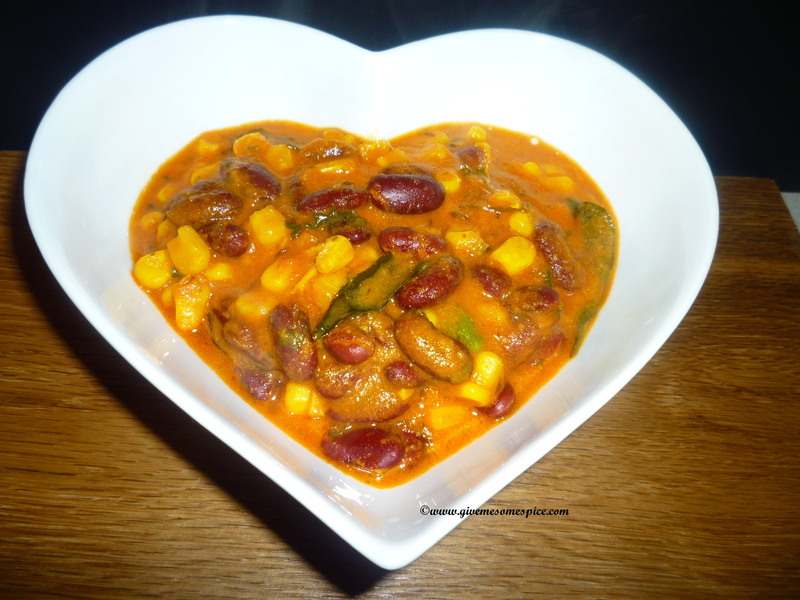 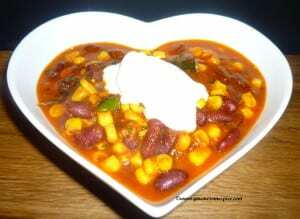 Kidney beans and sweetcorn curry is one of my favourite curries . 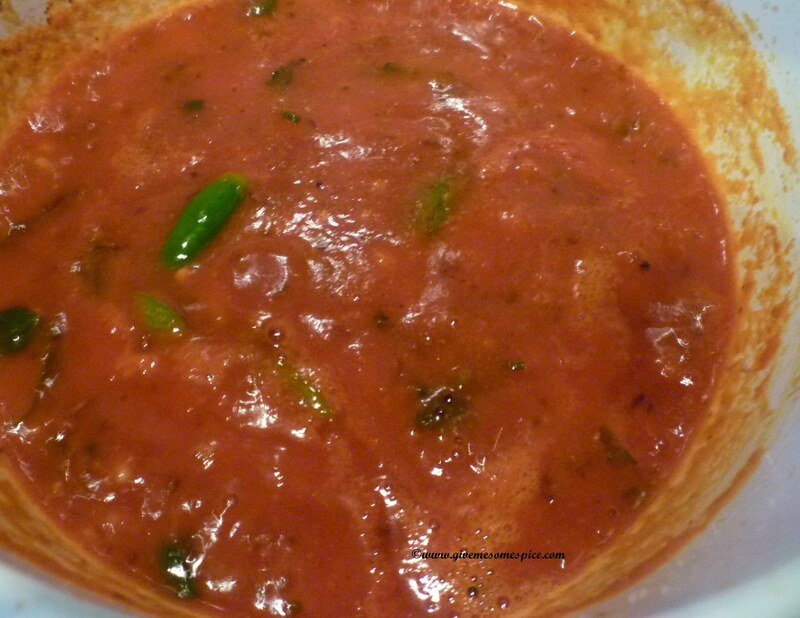 This curry is very popular with East African Asians who often serve it at events such as weddings. 6. To make it creamy you add Greek style yogurt or cream to the curry just before serving the curry. 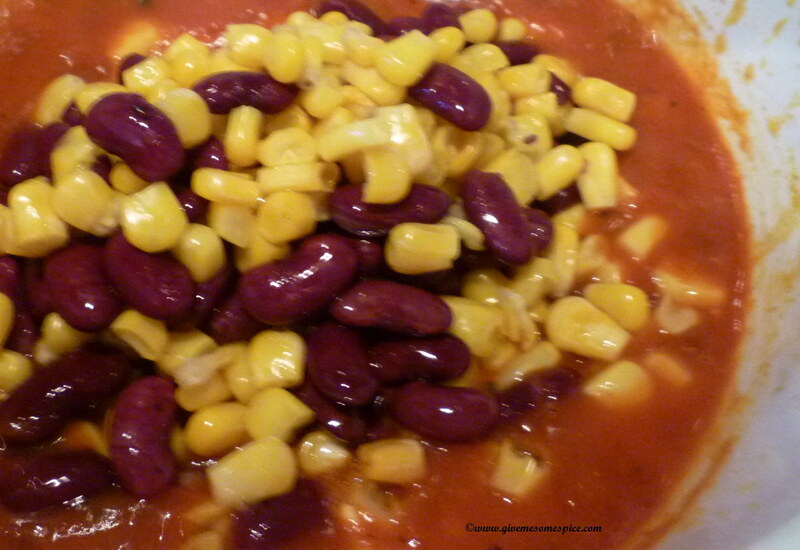 What do you like your Kidney beans and sweetcorn curry with?